Lanesboro bed and breakfast travel guide for romantic, historic and adventure b&b's. 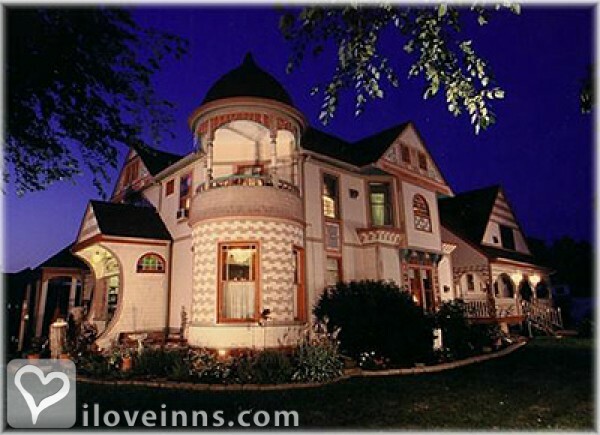 Browse through the iLoveInns.com database of Lanesboro, Minnesota bed and breakfasts and country inns to find detailed listings that include room rates, special deals and area activities. You can click on the 'check rates and availability' button to contact the innkeeper. Relax in a quiet place with no stoplights or franchises. Lanesboro is the premier Arts and Culture Destination of the Midwest nestled in the Bluffs of the Root River Valley. Experience the spectacular paved Root River State Bike Trail, winding 60 miles through Bluff Country. Excellent for biking, hiking, and cross-country skiing, it runs along towering limestone bluffs, dense hardwood forests and peaceful small towns. Lanesboro is recognized as the Bed & Breakfast Capital of Minnesota. Lanesboro was named one of America's Prettiest Towns by Yahoo! Travel for scenic beauty and small town charm. Mother Earth News recognized Lanesboro as well. By Stone Mill Suites. Lanesboro, Minnesota should be one's next vacation destination especially if you want to experience the joy and excitement that an Amish Tour brings out in its participants. Who wouldn't want to learn about the colorful lives of the Amish populace in Lanesboro? However, if an Amish Tour isn't your fancy, then check out three other tourist attractions in Lanesboro, Minnesota. These are the Commonweal Theater Company, Root River, and the world-famous Parkway. The latter landmark actually won the 1998 Great American Main Street Award so it's definitely a point-of-interest that is worth visiting. The restaurants meanwhile that should be visited in this Minnesota town include the Pedal Pushers Caf�, the Old Village Hall, the Riverside on the Root, and the Aroma Pie Shop. Check in with a Lanesboro bed and breakfast and spend some quality time with friends and families. By Stone Mill Suites.